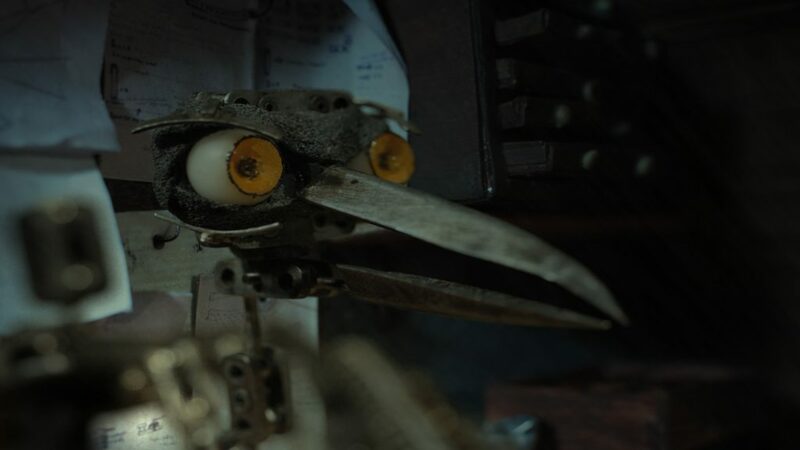 Moonbird is the main character of my graduation film (2014) ‘Moonbird’, and also the first ball and socket armature I ever built, with all components made by me from scratch. 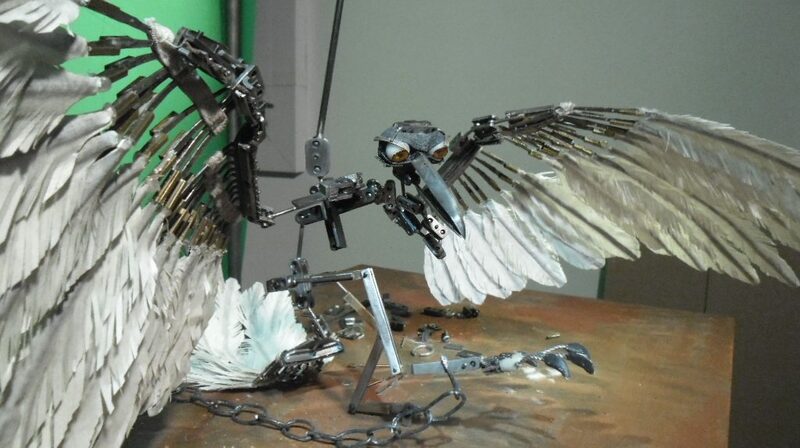 I challenged myself to learn the ins and outs of metal work, ball an socket armature construction as well as bird anatomy. 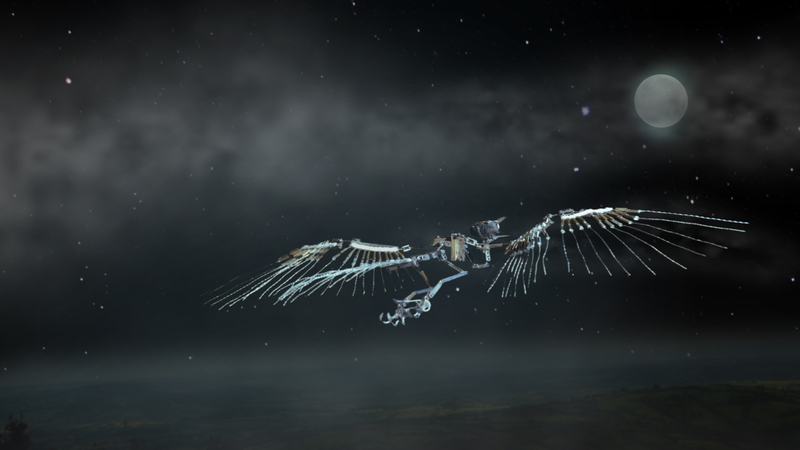 I made many mistakes, started over with a new wing design several times, but learned a lot along the way. 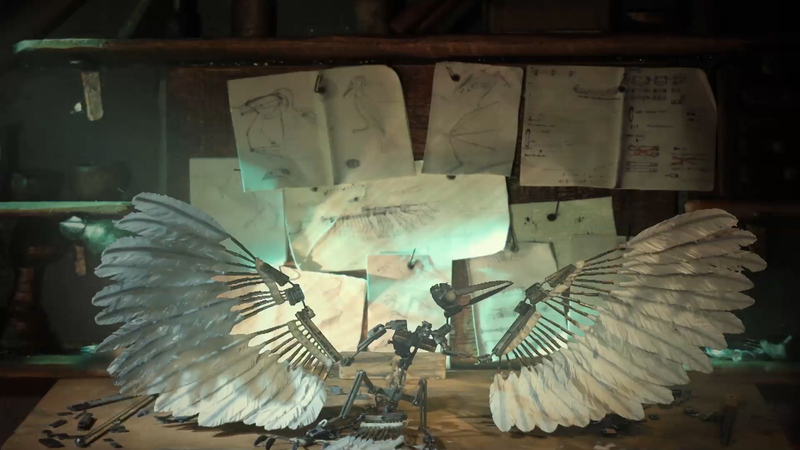 One of the main challenges was to create the wings to be able to fold and open as a real bird wing. 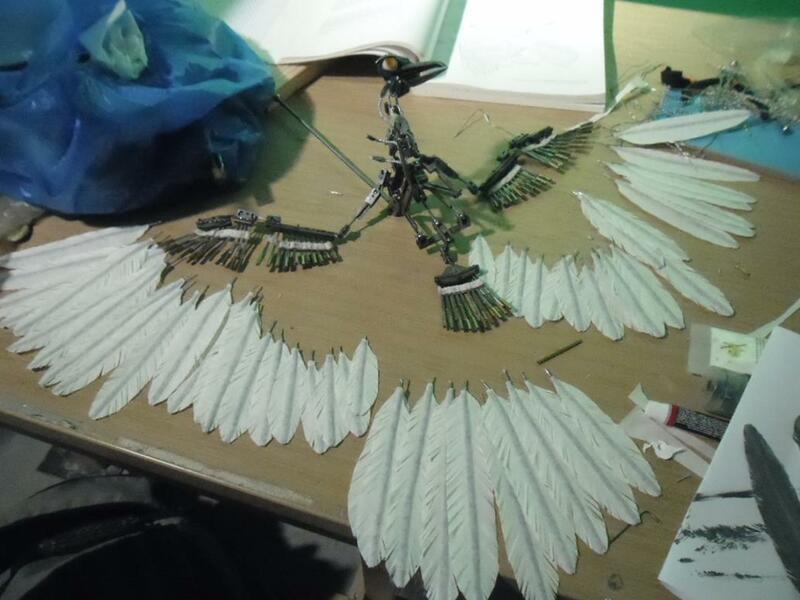 Each feather in the wing can pivot individually, while an elastic band helps to make the feathers act more as a fan as in a real bird’s wing. 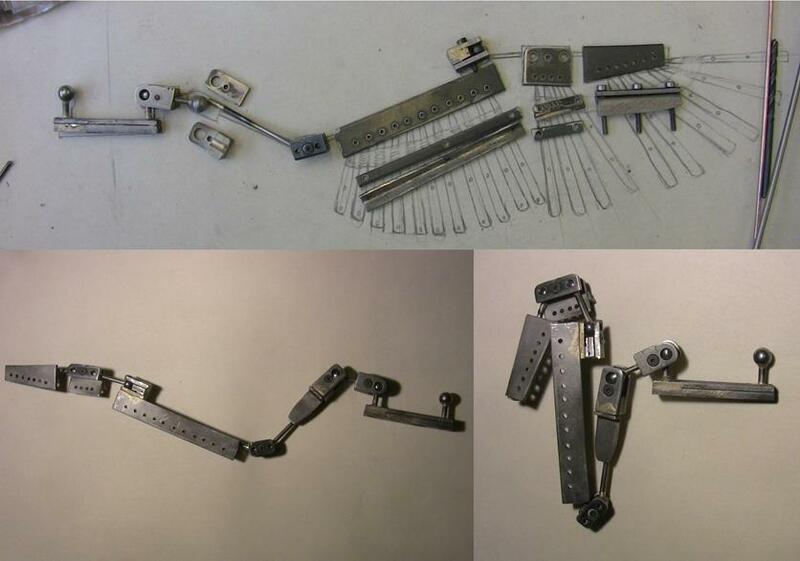 For this armature I built all the joints and parts from scratch. 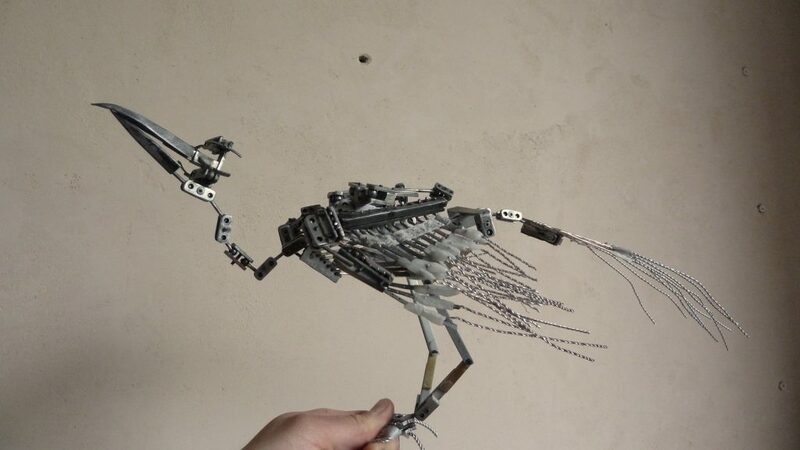 In the final film the bird is in the first half featured with the wire ‘feathers’ and later on in the story gets its ‘real’ feathers which are made from masking tape. 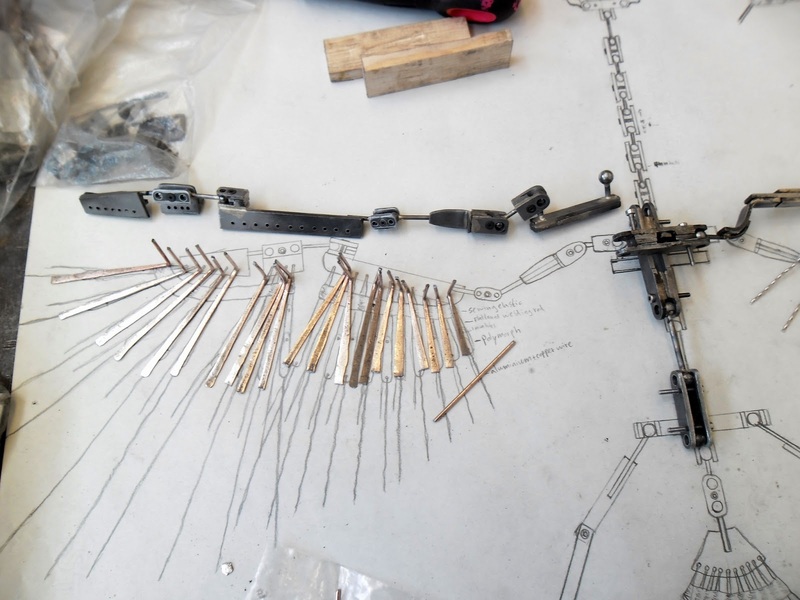 I made many different versions of the technical scale drawing for the armature during the process, often re-drawing parts after I built a section and realized a mistake I made. 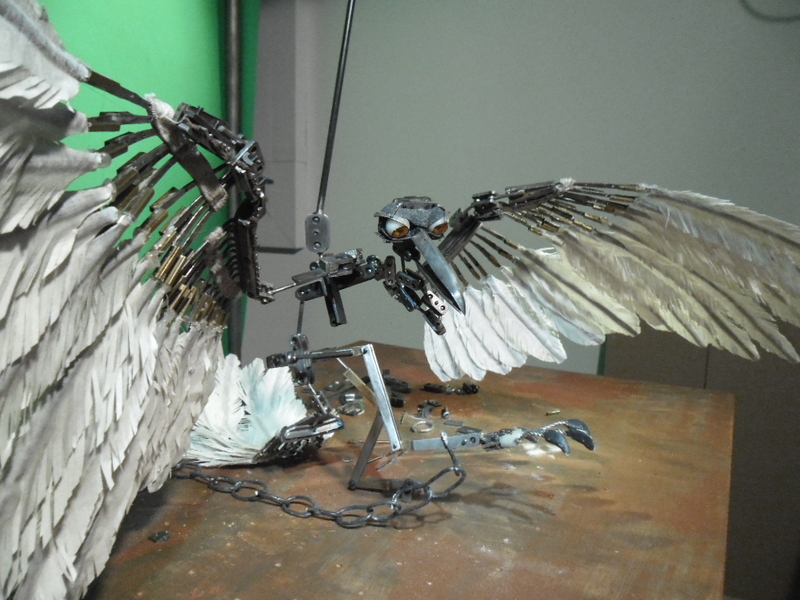 The most challenging part were the wings that had to be able to fold like a real bird wing. 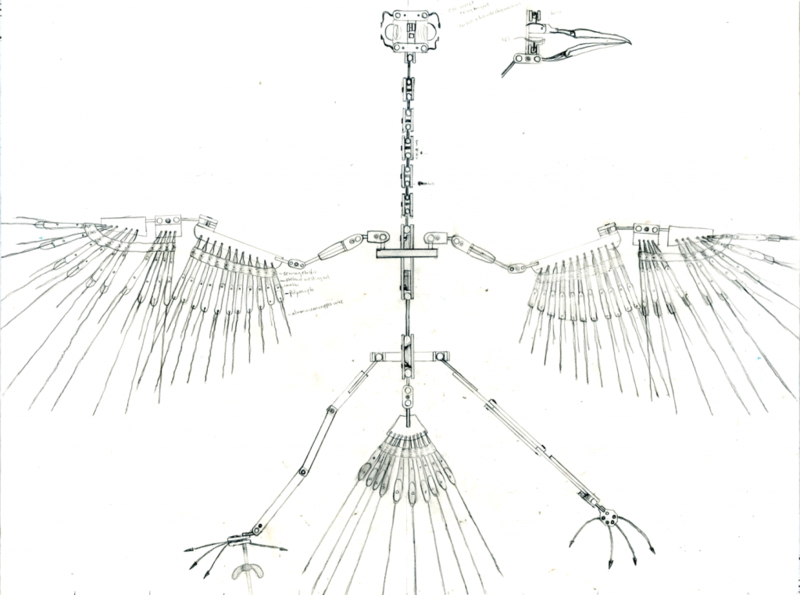 I also invented my own pivoting mechanism for each individual feather. 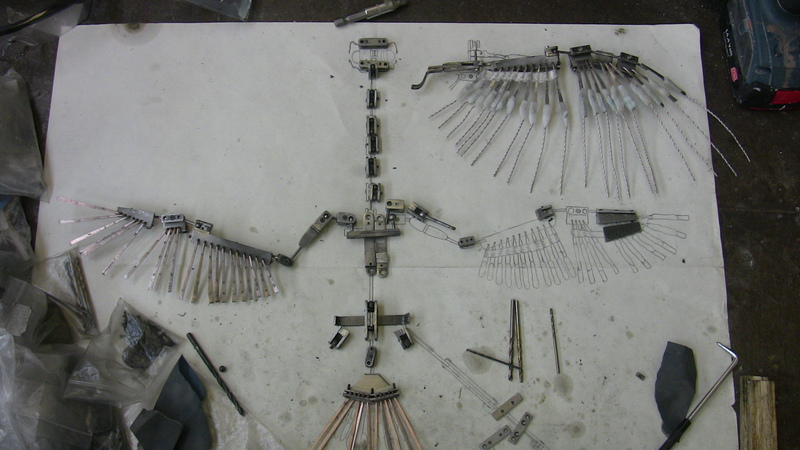 The scale drawing below is the final version I built the armature to. 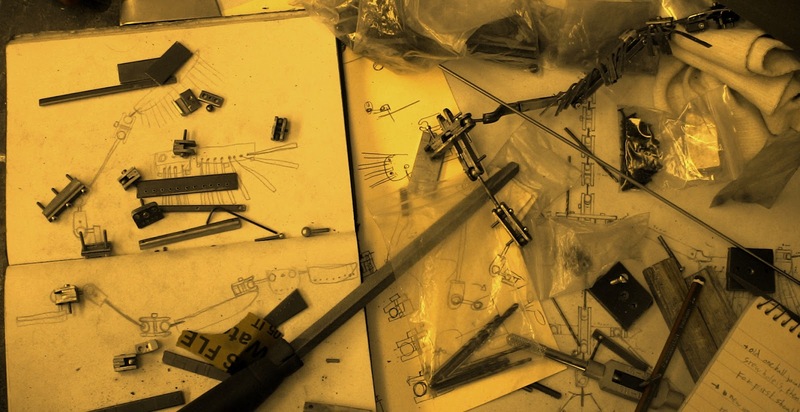 The only missing parts here are the rigging points. I added these later while I was doing a work experience at Aardman Studios. 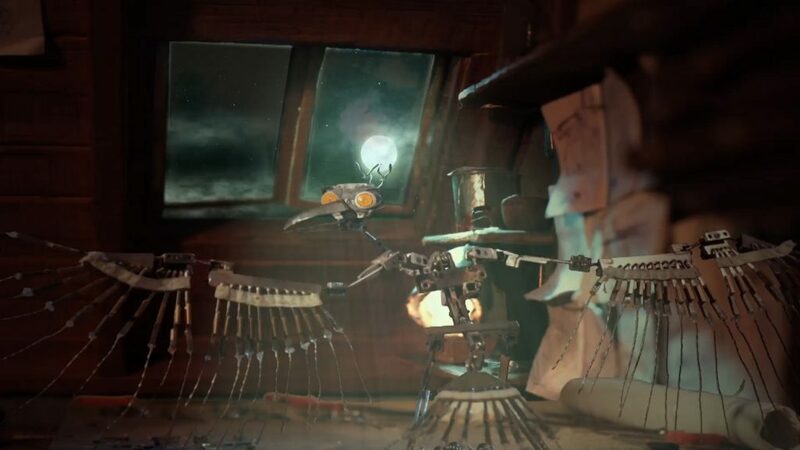 They kindly gave me the opportunity to use the equipment in the rigging department to add these final details, and the armature had its first animation test set up in a test booth at the Aardman Studio. 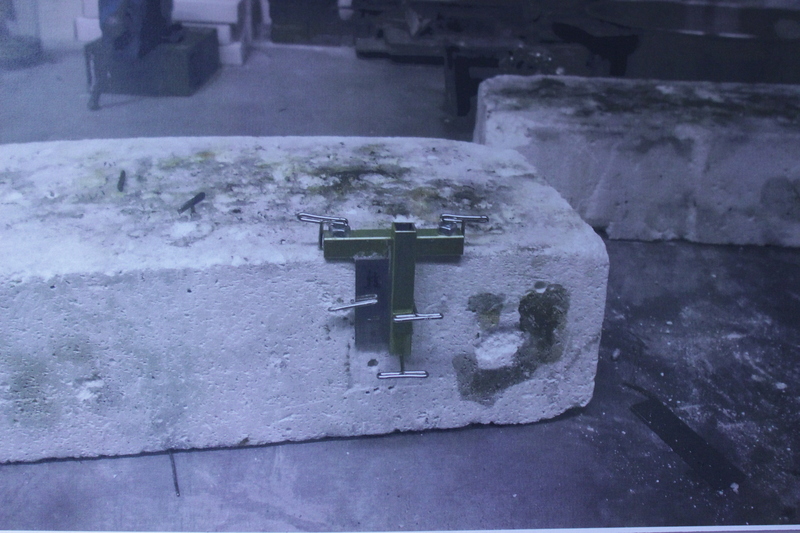 The image gallery below shows some more images from during the fabrication process. with more details in the captions.